Everyone’s enjoyed onions a salad ingredient, in the form of a sweet-onion sauce in sandwiches, as a tasty addition to make a boring vegetable delicious, and the best, with some vinegar - but there’s more to the vegetable than that. Chopping onions may bring you to tears but the multitude of health benefits that this vegetable offers will leave you happy in the long run. Did you know you could use onions to solve your hair woes and skin boo-boos? It may sound weird, even smelly, but onion juice, ladies, is a godsend. One of the most asked questions is how onion juice can help in promoting hair growth and that is exactly what we are going to explore in this article today. Here is everything is you need to know about the benefits of onion juice, how to use it, and if it really works. Onions contain 64 calories, 15g carbohydrates, 7g sugar, 3g fibre, 2g protein, and 0g fats and cholesterol. It is rich in Vitamins C and B6, minerals, and antioxidants. 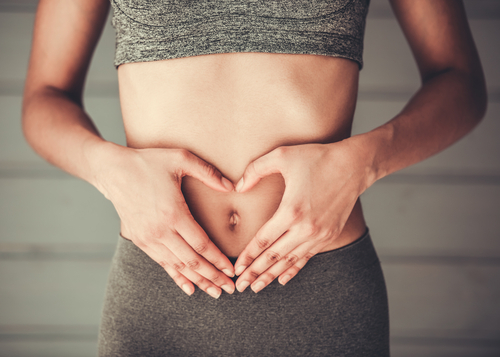 The folic acid in it is known for an extensive supply of Calcium, Magnesium, Iron, Chromium, and Phosphorus - the most nutritionally rich elements. Chromium helps reduce blood sugar levels. The small amounts of Sulphur present in onions are considered to have anticarcinogenic properties too. Onions are also recommended for anaemic patients. Boosts Hair Growth: This is one of the many reasons why onion juice is widely used. Onions are antibacterial, antifungal, and contain antioxidants that boost the growth of your hair. The Sulphur content present in it ensures your hair is thicker, voluminous, and grows faster. All of the goodness present in onion juice stimulates your scalp and improves blood circulation, which, in turn, causes your hair follicles to regenerate quicker, thus boosting hair growth. Helps Reverse Premature Grey Hair: It is known that the antioxidants present in onions can not only slow down premature greying of hair but actually reverse the process. Helps Remove Dandruff: They can be used to fight dandruff owing to their rich antibacterial properties, and ensure your scalp is healthy and squeaky clean. Helps Prevent Hair Fall: These antibacterial properties also help fight infections that can occur in your scalp. This, in turn, helps reduce hair fall as scalp infections can sometimes be the reason behind hair loss. Plus, the Sulphur in onion juice is known to minimize breakage and thinning. Adds Shine To Hair: Onions add immense shine to your hair, which can become permanent if used regularly. Fixes The Problem Of Lice: Onion juice also makes your hair uninhabitable for lice, making it an excellent, and painless, home remedy for kids. UV Protection: The multi Vitamins that onions are rich in, protect you from the harmful effects of ultraviolet rays. Skin Purification: The antioxidants in onions flush out the toxins from the bloodstream and help detoxify your body. This eventually purifies the skin. Acts As An Anti-Ageing Ingredient: By slowing down signs of ageing that show not only on your hair in the form of breakage, thinning, and hair fall but also on your skin, onions combat free radical damage thereby delaying the signs of ageing. Helps Prevent Breakouts: It’s antibacterial, antiseptic, and anti-inflammatory properties help reduce inflammation and also prevent breakouts. It really simple, massage your face with fresh onion juice to bid adieu to pimples. Gives You Glowing Skin: Apart from shiny hair, the Vitamin C present in onions helps deeply nourish the skin, making sure it’s healthy, and glowing from within. Helps Provide Soft, Supple Lips: Regular application of onion juice helps remove dead skin cells to give you soft and supple lips over time. Treats Wounds And Other Cosmetic Benefits: Roasted or raw onion is used as a poultice for indolent boils, bruises, and wounds since it relieves soreness and inflammation. It can also be used for earaches. Not just that, onion juice when mixed with honey is used as a cosmetic treatment to remove freckles and fix pigmentation. 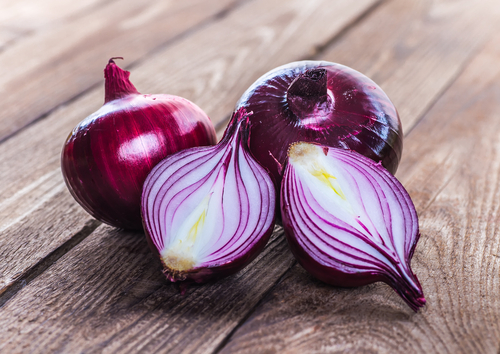 Improves Digestion: Onions have inulin, which is a dietary fiber that improves digestion by fostering a healthy bowel movement and keeping the healthy bacteria at the optimum level. Protects Against Allergies: The natural antihistamine quercetin present in onions prevents asthma and many allergies. Quercetin is a yellow crystalline pigment present in plants, used as a food supplement to reduce allergic responses or boost immunity. Quercetin in onions is easily absorbed through the intestines and stays in circulation for a longer time than that obtained from other foods. Treats Cold: The essential oil present in onions breaks down mucus and prevents its fresh formation. It has been used for centuries to heal coughs, bronchitis, congestion, and other infections. Maintains Bone Health: Recent studies have shown that onions contain a compound that prevents excessive bone loss, thereby maintaining a healthy bone system. It is especially useful for women going through menopause who are at a greater risk for osteoporosis (a medical condition in which the bones become brittle and fragile from loss of tissue, typically, as a result of hormonal changes or deficiency of Calcium or vitamin D). Reduces Blood Sugar Levels: Regular intake of onions helps reduce blood sugar levels. Also, the trace amounts of Chromium present in it improve glucose tolerance and combat high sugar levels. Helps Lower Cholesterol Levels: Another benefit of regular consumption of onions can be seen in your cholesterol levels since it helps lower them, thereby reducing the potential of a cardiac arrest, which is caused because of high cholesterol. Reduces The Risk Of Cancer: Onions also help reduce the risk of many cancers like esophageal cancer, renal cell cancer, breast cancer, prostate cancer, and laryngeal cancer. Science suggests that onions are made up of many different types of sulfides that offer protection against the growth of neoplasms (new and abnormal growth of tissue in a part of the body that’s especially characterized with cancer). Prevents Tooth Decay: Bacteria is the root cause of all kinds of tooth problems. The antibacterial properties of onions prevent oral infection and tooth decay. According to research, chewing raw onion for three minutes is sufficient to kill all the germs in the mouth. In addition, it can also relieve toothaches. How To Make Onion Juice For Hair? Now that you know the potential of onions and the mighty onion juice, let’s move on to understanding how to extract this juice from onions. Start by grating a few onions in a blender or on a cheese grater. Next, use a muslin cloth or a super fine strainer to squeeze out the onion juice. Add some water to the grated onion to make the extraction process a bit easy but not too much lest you dilute the juice. Make sure you strain the onion juice well to avoid getting any particles of onion stuck in your hair since they’re difficult to wash off. You can strain it multiple times to make sure the juice is free of any pulp or flakes. How To Use Onion Juice For Hair? 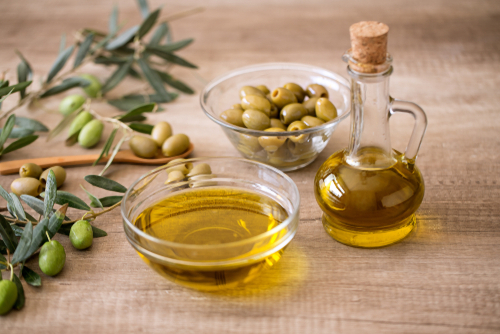 Also Read Why Olive Oil Is Your Beauty Hero! A mixture of olive oil and onion juice will moisturise, nourish, and condition your hair as well as your scalp. The olive oil will give your scalp a boost of moisture and help ward off any dryness leading to dandruff. Massage this mixture into your scalp and hair and leave it on for an hour or two. Wash it off with a mildly fragranced shampoo to get rid off any onion smell. You could also add a drop of essential oil to the shampoo. 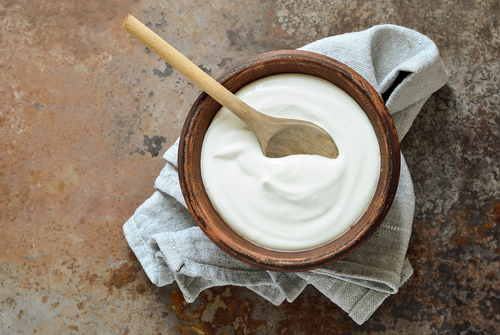 Yoghurt is rich in lactic acid and boosts hair growth making your hair soft and shiny. Combined with onion juice, this is a great home remedy to boost hair growth. Apply this to your scalp and massage it gently for a few minutes. Leave it on for an hour and then wash off. 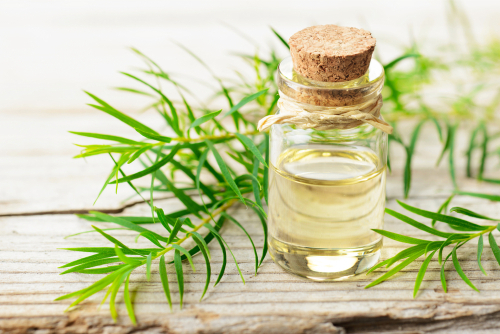 Tea tree oil helps you to remove dandruff and prevents any scalp infections whereas coconut oil helps the mixture penetrate deeper into the roots of your hair. Apply this to your scalp and massage it gently for a few minutes. Leave it on for an hour and then wash it off. 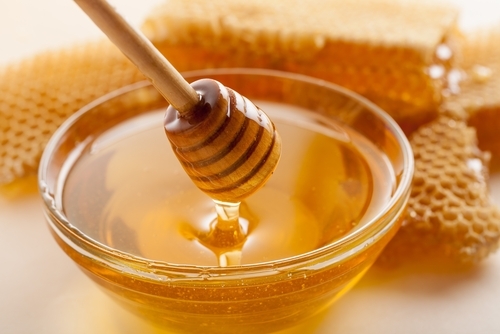 Honey is a natural humectant and moisturises your hair. When mixed with onion juice, this is a great hair mask to revive dull, dehydrated hair, and also helps boost hair growth. Combine the mixture and massage it into your scalp for 5-10 minutes. Let it sit for an hour or two, then rinse it off with a mild shampoo. 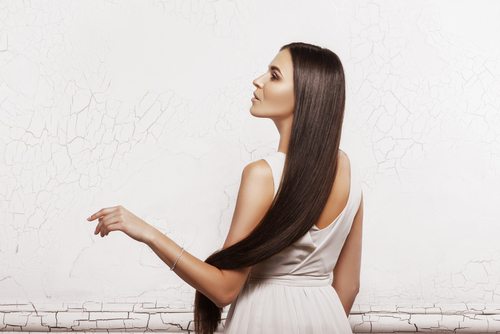 Your hair will be soft and shiny, and with regular use, you’ll see it grow in no time. Onion juice mixed with lemon juice is a scalp elixir. The mixture of the two helps promote hair growth and ward off any scalp infections. The Vitamin C in lemon juice helps to remove dandruff, excess oil in the scalp, and also maintains the pH balance of your scalp. Combine the mixture and massage it onto your scalp for 5-10 minutes. Let it sit for an hour or two and rinse off with a mild shampoo. 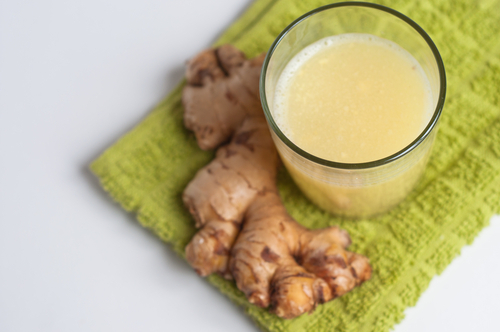 Ginger is anti-inflammatory. It boosts blood circulation and fights hair loss. Combined with onion juice, this is the best hair growth potion you can indulge in. Potato juice is known to boost hair growth by stimulating the hair follicles. 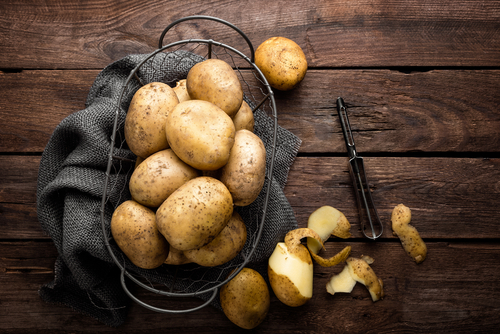 The vitamin B, vitamin C, and zinc content in a potato boost hair growth. Massaging raw onion juice on your scalp will help increase your blood flow and strengthen the hair follicles. To apply, simply pour fresh onion juice onto your scalp and hair and massage gently for 5-10 minutes. Rinse thoroughly afterward. 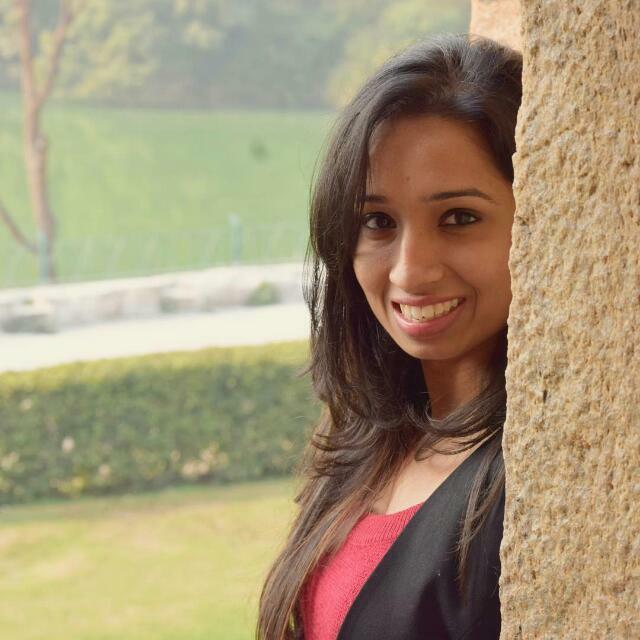 How To Get Rid Of Onion Smell From Hair? 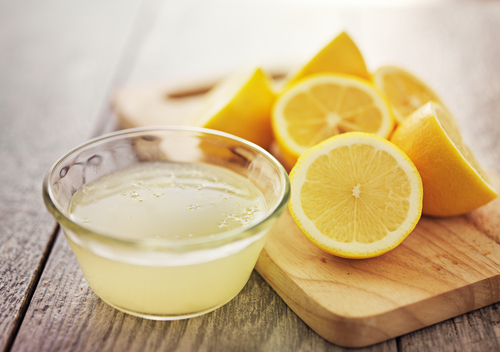 Just add some lemon juice to the onion juice or to your shampoo to get rid of any foul odour. You can also add a drop or two of essential oils like tea tree, lemon or lavender to the hair mask or your shampoo to neutralize the smell. Go for shampoos and conditioners that have a fragrance, strong or mild, of their own. 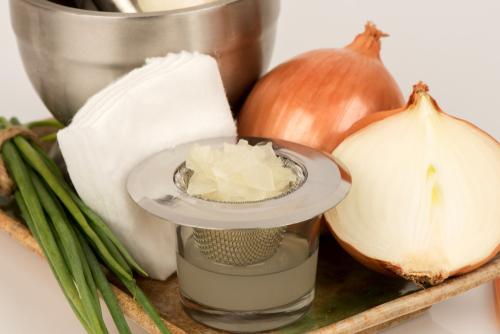 Shampoos tend to leave a lingering fragrance ridding you off any onion residue.